Nearly 70% of online shopping happen via mobile phones. Why is it and what should e-commerce shop owners do? Amit Singhal, senior vice president of Google, defined “mobile” as devices with screen smaller than 6 inches. This small but powerful tool is surprisingly the first device people turn to when they need some information about their purchase. What is the trend in e-commerce world? Amazon led the burst of e-commerce since early 2000s, when products are purchased online in their website then delivered onto customers’ front door. At that time, most people used laptops for their online shopping. What has happened after one and a half decade? 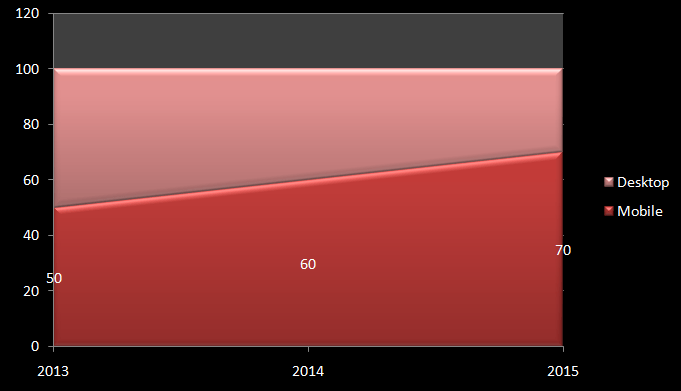 In 2013, more than 50% of the online orders happened in mobile phone, in 2014 it was near 60%, in 2015 it was near 70%. Can you see the trend here? Yes, more and more people are using their mobile devices to purchases goods online. On the other hand, Google search also revealed in 2015 that more than half of the monthly Google searches came from mobile devices. 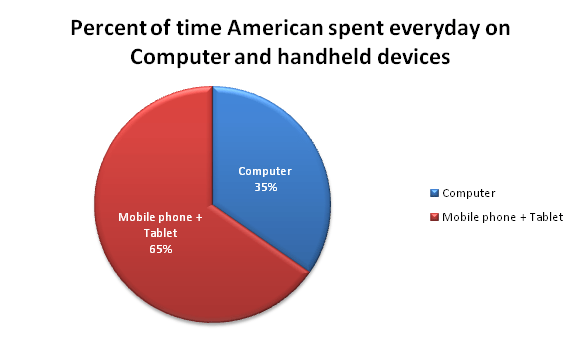 And the hours people spent using their TV, PC, and mobile is increasing. According to a study by Mary Meeker in 2014, everyday Americans spend averagely 103 minutes on a computer, 151 minutes with smartphones, and 43 minutes on a tablet. It is not hard to predict the trend in the tech world and e-commerce world, especially if you have an online business to take care of, you must follow these trends to always be the leader of the new waves. Why do people shop on mobile phones? 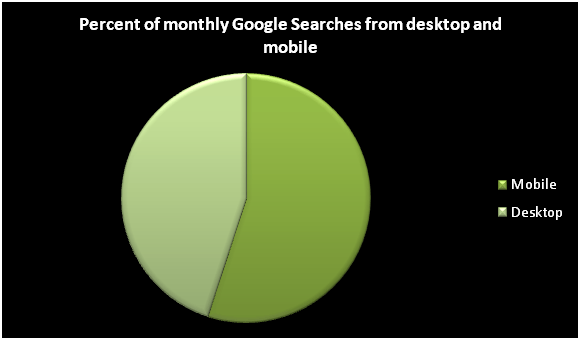 There are many reasons that people prefer mobile to desktop in everyday use. But there are some main reasons that are easy to see. Mobile phone is quicker than computer. It’s quicker to just grab your phone, which is always in your pocket or your purse, than reaching to your desk and turn on the PC, or taking the laptop with you and opening it. Some people suffer from eye strain when they look at computer screen for long time or even short time. Eye strain is caused by many factors, including the size of the screen, the posture of the person looking at the screen, the distance between screen and user, screen technology, screen brightness, screen contrast, health status, time of day, duration, font size,… Though there’s not enough research about the detail of the matter, but it seems that less people are having eye strain when using mobile phones. Mobile phone is always with you. When people are waiting in line, being on bus, sitting somewhere on the street, playing in friends’ place, or even on holiday, they still use their mobile phones. It’s not possible to bring the computer everywhere you go, but it’s clearly possible to bring mobile phones with you to the toilet or bathroom. It is also convenient to open Google Maps to get to the store from where you’re standing, using GPS. You can carry your phone and listen to (or look at) the road direction while moving to the target position. Those are some of the reasons people shop on the phones more and more these days. This is an opportunity for online store owners, but also a challenge. If their website is not mobile-friendly, its rank on Google Search will decrease and customers will likely go shopping somewhere else. This is how importance a mobile version is. Is your site mobile-friendly? Install Apollotheme’s templates now, whether it’s Prestashop, Shopify or BigCommerce, Apollotheme’s templates are all designed to be fully responsive, look good in all devices: desktop, tablets, mobile phones, so the templates are ready for you to install and start increasing mobile traffic, Google page rank, and increase your sales now! 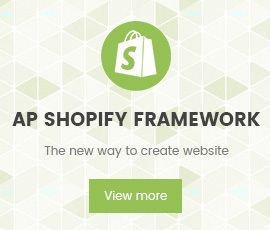 Apollotheme is a theme provider with 15 years of experience and reputation, they make Prestashop, Shopify, and BigCommerce templates, as well as apps and Custom Work. With the motto of making website design be more interesting and simple for you, Apollotheme’s developer and designer team are young, enthusiastic people who always work hard and work smart so the cost it takes would be minimum while the products still have the equal best quality.